Hi! 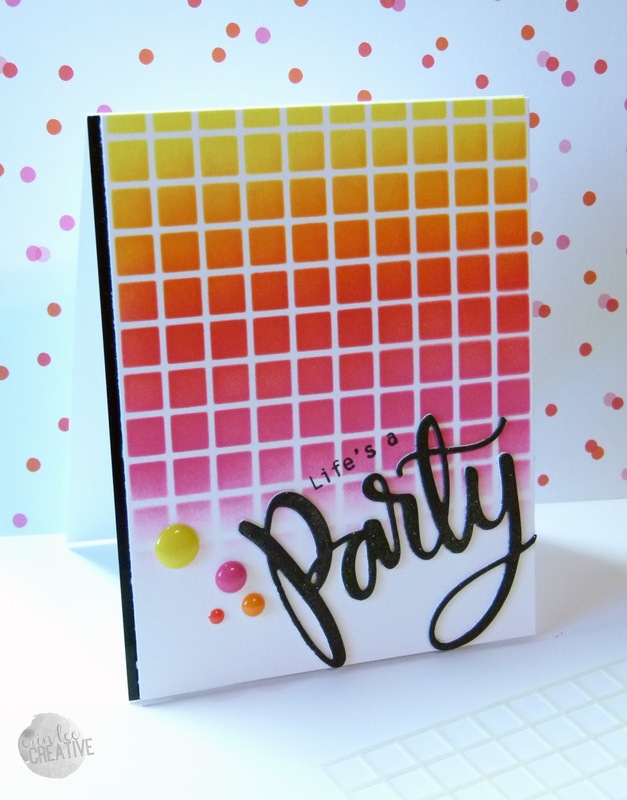 Popping in today to show you a card I created using the new Party Circle Die from Simon Says Stamp STAMPtember release! So. Much. Fun. I used the die in a different way – I cut off the circle so that it would just be a word. I also used a Simon Says Stamp stencil and my lovely ink blending tools with Tim Holtz Mini Distress Inks. I am addicted! The “Life’s A” stamped sentiment is from Happy Block Greetings. I am entering this into the Simon Says Stamp Wednesday Challenge: Make It Colorful. hello Erin…luv the grid colors…so very pretty! so glad you played along with us for the Simon Says Stamp Wednesday Challenge!